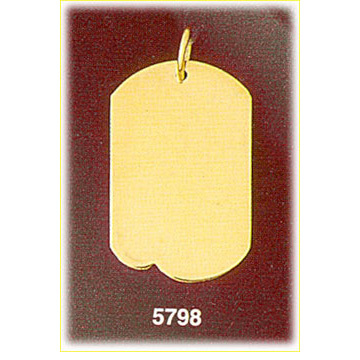 Get noticed with this stunning 14kt gold custom laser engravable dog tag charm attached to your choice of gold chain. 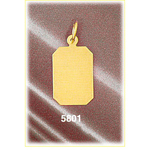 Featuring a sleek dog tag design with added detailing at the bottom this gold dog tag charm is a superb selection. 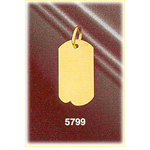 A high gloss finish make both sides of this engravable charm burst with brilliance whether or not you choose to have it custom laser engraved or add a birthstone setting. 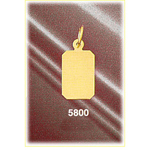 Pendant is crafted in 14k yellow gold featuring a polished finish with flat back, it measures approximately (18mm - 3/4") in width by (28mm - 1 1/8") in height and weighs 3.2 grams, it is recommended for necklaces.